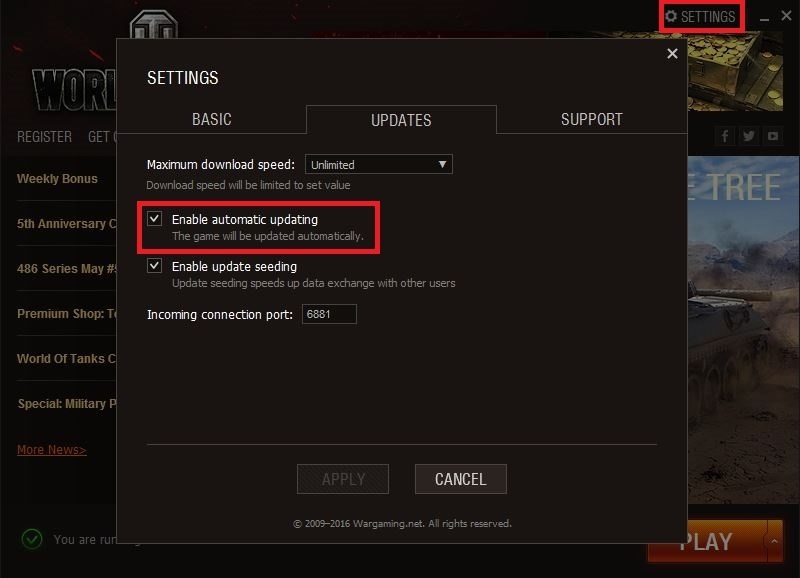 You can enable or disable auto-updating. You can also have separate settings for World of Tanks, World of Warplanes and World of Warships in their respective settings on each game launcher. The program may be found in your tray, all it is doing is checking for updates periodically. It consumes a low amount of RAM (3,7 – 4,0 MB) and traffic (~ 5MB per week). Downloading and installing processes are still handled by the launcher. In the event that one of our games is running, this program won’t check for any new versions available, nor perform any installations. It doesn’t cause lag, low FPS and other negative drawbacks. Moreover, if you have a number of WG games installed on your PC while you’re playing one of them, this program won’t perform any activities in the background.